If you've updated TML from a version before 7.0, you're likely use to the plugin creating multiple WordPress pages to represent each of it's actions. However, with version 7.0+, this is no longer the case. 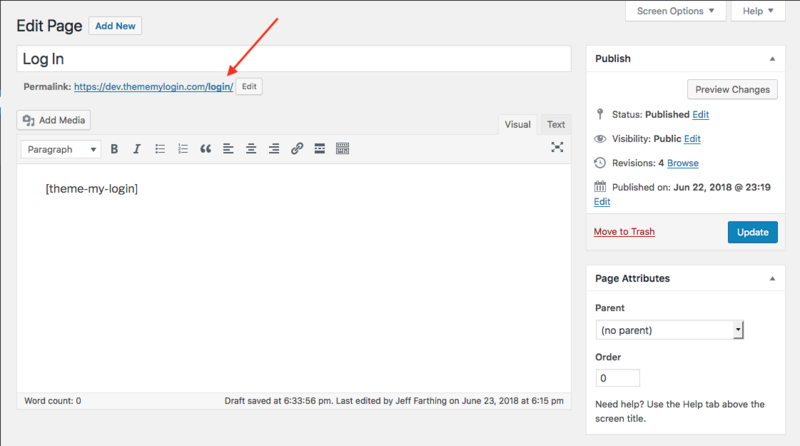 Pages are not required by the plugin, but are instead created "on-the-fly", when a TML action is accessed. 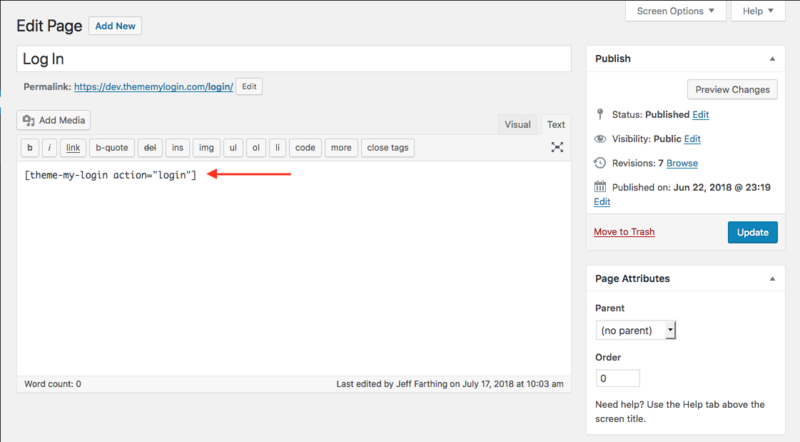 However, if you were already using pages, or would like to use real pages to represent actions, you may still do so. If a page slug matches the slug of one a TML's actions, that page will be used for the action, instead of TML's generated page. Let's say, for instance, you wanted to create the Login page. First, simply create the page with the slug you would like to use to log in to your site. We'll use TML's default, "login". 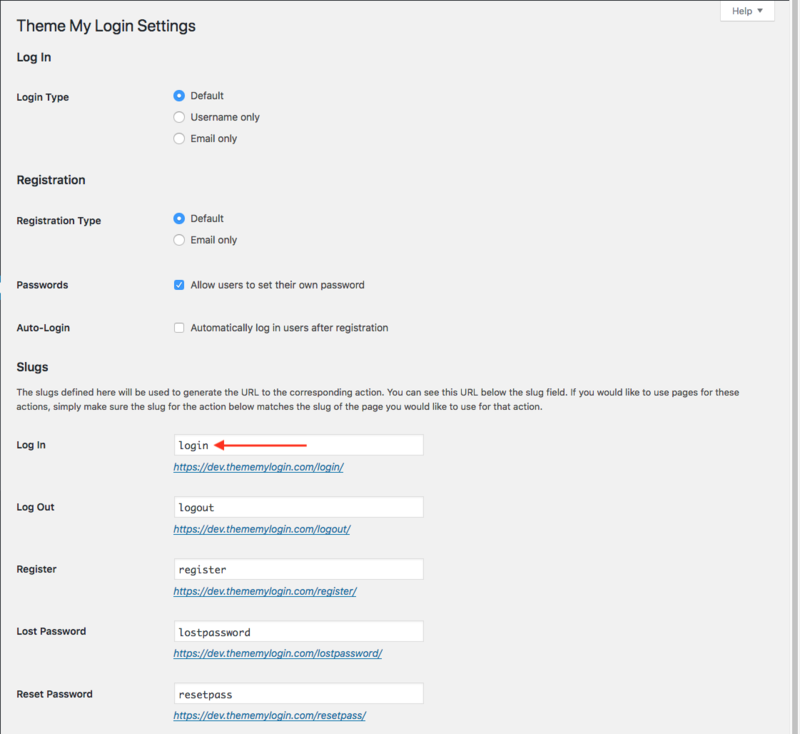 Then, visit the Theme My Login Settings page and find the Slugs section. Ensure that the slug for the action you just created, in this case "login", matches the action you want it to represent, which is, in this case, "Log In".